The campus of United Lutheran Seminary in Philadelphia, formerly the Lutheran Theological Seminary in Mount Airy. 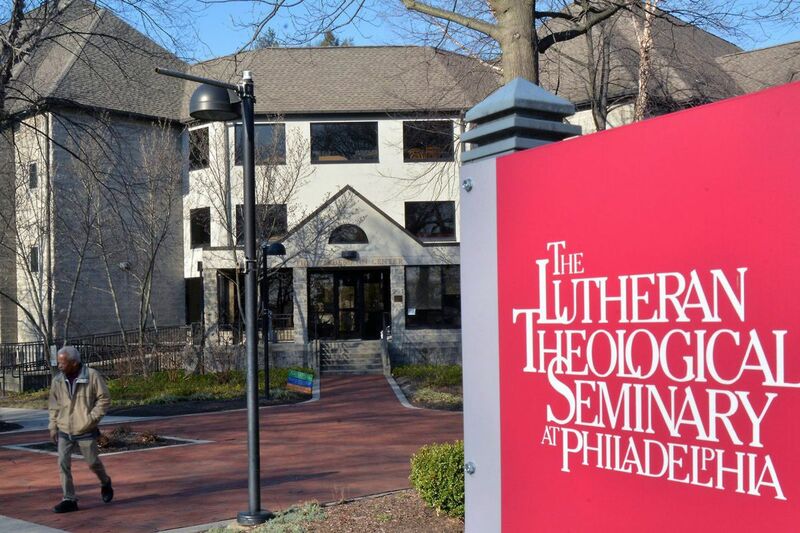 United Lutheran Seminary, a theological school with campuses in Philadelphia and Gettysburg, has received a $30 million bequest from an anonymous donor, described by school officials only as a woman who lived in the Midwest and died earlier this year. The donation — one of the largest in the history of an educational institution affiliated with the Evangelical Lutheran Church in America — will be used to fund a faculty chair and student scholarships starting in the fall of next year. It was announced May 18 on the school's website before graduation — the first since Lutheran Theological Seminary in Mount Airy and its counterpart in Gettysburg merged last year after decades of failed attempts. "This [donation] will have a transformative impact on educational opportunities for future leaders of the church for decades to come," said the Rev. Angela Zimmann, vice president of institutional advancement for the 325-student United Lutheran Seminary. "We've been working to reduce their educational debt and make seminary education accessible to those who feel the call to serve, and this donation will have that impact." The bequest was made in memory of the Rev. James Franklin Kelly, a Lutheran minister who graduated from Gettysburg Seminary in 1920, and his wife, Hope Anna Eyster Kelly. Rev. Kelly died in 1983 at age 89, and his wife died in 1973. Rev. Kelly served as pastor of Holy Trinity Lutheran Church in Wilmington from 1926 to 1953. He also led the congregations of Christ Lutheran Church in Erie and St. Paul's Lutheran Church in Connersville, Ind., where he moved after he resigned from the Wilmington church. According to obituaries in several newspapers, the Kellys had one daughter, Gladys Kelly Ellis, who died at age 95 in February. She had battled polio and rheumatic fever as a child and became a nurse as a tribute to the women who had tended to her. During World War II, she worked at Fort DuPont in Delaware, helping treat prisoners of war. She later married George M. Ellis Jr., a prominent physician in Connersville, and the couple worked together in his office for 40 years. Dr. Ellis died in 2010. The couple had no children. Zimmann said that she had met with the anonymous donor in December but had no idea that the bequest was $30 million until the benefactor passed away shortly after their visit. "The executrix called and said, 'Do you know how much?' " Zimmann said. "We were floored." School officials also have announced that Richard Green, who served as interim president of Lincoln University for two years ending in 2017, will become interim president of the seminary on June 4. He takes the helm following the departure of Theresa Latini, who was fired from her position as president in March after less than a year on the job. Latini was dismissed after reports that she had once led an organization that supported reparative therapy practices claiming to turn gay men and women straight. Latini had long ago repudiated the organization and such practices, but did not disclose her affiliation with the group during interviews for the position. She had told the chairperson of the school's trustee board about the association, but the official did not share the information with the remainder of the governing body until rumors began circulating on campus. Eight board members resigned during the controversy. Green, a lifelong Lutheran, is a graduate of Concordia College, an ELCA school in Moorhead, Minn. He earned his doctorate from the University of Louisville. He has served as interim provost at both St. Cloud State University in Minnesota and Albany State University in Georgia. He joins the seminary at a time when school officials are working to merge two schools, faculties, staffs, student populations, and campus cultures. The seminary is also coping with changes in theological education and religious practice and commitment that are remaking faith life. Zimmann said she expects the $30 million donation will help the school confront those changes.